Is there anybody who would be willing to invest in the Ukraine’s gas transportation system? Moreover, why is there actually no one at all? Popular opinion has been spread for a long time, especially among European politicians, that the pipelines "Nord Stream" and "South Stream" had the only one goal - to punish Ukraine depriving this country of gas transit business. Of course, this point of view primarily reflects the Ukraine's interest in retaining of its transit revenues. This is a fact that now it is one of the few stable sources of foreign currency earnings, which are very severely lacking on urgent needs of the Ukrainian dented economy. As well as everywhere in the energy sector now Ukraine is experiencing an acute shortage of funds for purchasing gas. Therefore, no wonder if the amounts received from Russia for gas transit services are paid back to the Russian company “Gazprom” for new gas deliveries. According to Ukrainian sources, in September 2014 Russia paid for the transit of gas 68 million USD and about 70 million USD in October. These, in terms of gas contracts relatively small amounts were included in 387 million USD that on 5 December the Ukrainian company “Naftogaz” transferred to “Gazprom” as an advance payment for the supply of 1 bcm of gas from Russia. Recently on December 31 "Gazprom" received 150 million USD from Ukraine’s "Naftogaz" as an advance payment for Russian gas supplies in January 2015. At first thought, usage of transit revenues for gas purchase seems to be a common practice, and perhaps Ukraine has to be just satisfied with this possibility. However, if you look at this situation from our side taking into account EU countries' interests as importers of Russian gas transported through the Ukraine’s gas transportation system (GTS), the attitude towards this practice should be quite the opposite, because it is bad for Europe and even very bad! The main problem here is that, as is widely common in energy sector, the calculation of gas transit tariffs is based on operating and investment costs. That means that revenues obtained from gas transit payments mostly should be directed to ensuring proper maintenance and technical condition of the Ukraine’s GTS. Meanwhile, actually in Ukraine such basic requirements have been ignored for many years. It had taken place already at a time of the previous Ukraine's governments. And even more so under the pressure of severe fiscal deficit now nobody cares to use this transit money for its intended purpose of GTS maintenance. Ultimately, the Ukraine’s GTS keeps operating although a service lifetime stipulated by the technical regulations for the majority of pipes and equipment have been completely exhausted long time ago. An excessive deterioration of the Ukraine's GTS caused an increase in number of technical accidents. Last summer there were two gas explosions in the Poltava region on the largest pipeline "Urengoy - Pomary - Uzhgorod", which pumps Russian gas to Europe. Later in autumn an accidental depressurization put out of order the pipeline “Brotherhood” in the Transcarpathian region on the section “Valley – Uzhgorod – Border”. It is not difficult to figure out that in all cases the main reason appeared an out-of-limit technical deterioration and lack of funding for necessary modernization. 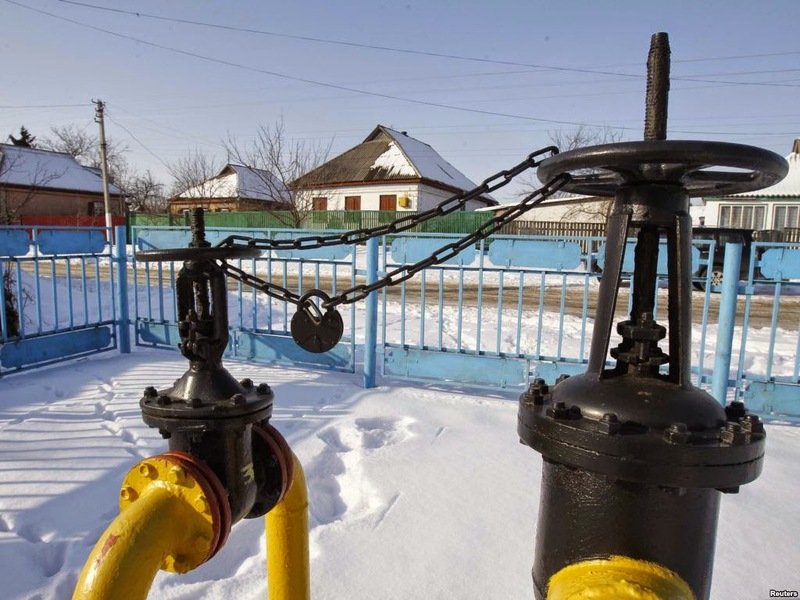 The pipeline accident in the Poltava region apparently made the Ukraine's government pay attention to the pressing problem of deteriorating the GTS condition. As a result, last summer the Ukraine's government officially announced the beginning of a radical modernization of the GTS at its own expense, which, according to preliminary estimates of Ukrainian experts, would amount to 5.3 billion USD for 5-7 years. Since there is no money in the country in August the Verkhovna Rada (the Ukrainian Parliament) at the third attempt adopted the law on modernization and operation of the GTS. It launched a procedure of attracting investors to the Ukraine’s GTS, where the state will own its share in a control package, and another 49% can be distributed only among an operator company or several companies from Europe or America. However, so far the expectations of reconstructing the Ukraine's GTS by means of foreign investors have not been met at all. The Ukraine's Government attempts of attracting foreign companies and, in particular, the negotiations with Chevron, Statoil and other companies have not yielded any result yet. There are several reasons for a failure. First of all, it is necessary to realize that, in spite of the Minsk Agreement, Ukraine is still teetering on the brink of the renewal of hostilities which have already massively undermined the Ukrainian economy. Meanwhile artillery strikes and civilian casualties take place up to now. In addition the US Congress passed the "Ukraine Freedom Support Act" on December 13 that would allow 350 million USD in lethal and non-lethal military assistance to Ukraine from 2015 to 2017. It should be quite clear to everybody that even promises of supplies for military use instead of private investments will not contribute to the stabilization of peace in Ukraine. Under such circumstances it is unlikely possible to find investors who would dare to invest heavily in a multi-billion project that should be fulfilled near half-ceased battlegrounds. Do they? Besides that, we have to recognize a critical weakness in functional structure of the Ukraine’s GTS, which I described almost half a year ago in the end of June. It consists in the fact that the infrastructure of the Ukrainian transit pipelines simultaneously are in permanent and total use for meeting the needs of internal gas consumers in Ukraine. Direct access of local Ukrainian consumers to transit pipelines as well as an insufficient administrative control and corruption that all together make it easy to carry out an unauthorized gas offtake. Or by other words it means stealing a transit gas partly instigated by a severe energy shortage in the country. Practically it will not change anything if European or American companies become co-owners of the Ukraine’s GTS. In such circumstances, they are unlikely to be able to ensure that Russian gas intended for Europe will not be pumped out on the territory of Ukraine. But in that case why should investors sustain such financial and image risks? Finally, we need clearly to understand the consequences of recent events - namely, Russia's action of canceling the South Stream pipeline construction. Simultaneously Russia and Turkey completed an agreement on the construction of the other gas pipeline with the same capacity of 63 bcm, which is now called the Turkish stream. The announcement that the South Stream would be halted caused a surge of enthusiasm in Ukraine. Ukrainian Prime Minister Yatsenyuk again repeatedly called foreign companies to invest in the Ukraine’s GTS. But at the same time almost nobody paid attention to the fact that, as well as the South Stream, the Turkish stream will provide a new route for gas supplies to Europe bypassing Ukraine. Therefore, redirection of the Russian gas pipeline to Turkey means only one thing: Ukraine will lose a status of gas transit country for the foreseeable future. Nevertheless, the transit agreement between Russia and Ukraine will be valid for another five years until 2019. As long as there are no companies willing to invest in the Ukraine's GTS neither in Europe nor in the US, the financial burden of its preservation from a complete collapse rests on the EU itself. While politicians in Brussels and Washington go on talking about gas dependence on Russia, as you can see, the real threat to our security of gas supplies is much closer. It is right behind the EU borders and has a name that is known as "the Ukraine's gas transportation system." An indirect recognition of this fact is that the EBRD extended a loan for modernization of the Ukraine's GTS in December. But the allocated amounts are much less than those required according to the calculations in Ukraine. It is 200 million USD intended only for the reconstruction of the Urengoy - Pomary - Uzhgorod pipeline. Generally speaking now when the Ukrainian economy is sinking into deep trouble, this loan would be like "a drop in the bucket." Obviously Europe launched its loan initiative too late spinning out almost until a middle of winter! Now Ukrainian media covers so-called rolling power cuts occurring every day in all the cities, which, by the way, a few of us in Europe can imagine. And what is more there was a nuclear power plant accident in Zaporozhye, which resulted in shutting down one of its generating blocks. Ukraine purchases coal from a far South Africa and negotiates about coal shipments even from Australia. Ukraine's government approved temporary electricity import from Russia. It is paramount for European security of gas supplies that due to acute shortage of energy from the very beginning of winter Ukraine started increasingly pumping out gas of underground gas storages (UGS). There are 12 UGS in Ukraine with a total active capacity of 31 bcm. According to the Gas Storage Europe Association (GSE) data in 2014, the maximum filling volume of the Ukraine's UGS was recorded on October 19 and accounted for 16.759 bcm. As of January 10, 2015 this volume dropped by 37% to 10.615 bcm. Furthermore, from 5 to 6 bcm out of 16.5 bcm is a so-called inactive gas that in principle cannot be used at all. As a matter of fact Ukraine does not have to use much of its storage volumes for the domestic consumption because these UGS facilities perform an important role of buffer stocks in the gas transit system, ensuring security of stable supplies to meet peak increases in gas consumption in Europe especially during a cold spell in January and February. Meanwhile, the Ukraine’s UGS now filled only to 33.51%. For refilling the Ukraine’s UGS, it is necessary to import gas from Russia. But evidently Ukraine has no money for that. Instead, there is a multi-billion unpaid gas debt to Russia, which Ukraine hoped to pay off with the financial assistance of the European Commission. In such a tense situation, why are our European politicians in Brussels and in other European capitals still urging to the accompaniment from Washington that Europe should cope with its gas supply without Russia? Why did the EU refuse a new gas pipeline to supply Russian gas bypassing the decrepit the Ukraine’s GTS? And ultimately why is Ukraine going to squeeze further out the EU to finance its GTS while, as we see, it is of no interest to investors?